Is there a better alternative to RCC Donations? Is RCC Donations really the best app in Personal Info Managers category? Will RCC Donations work good on macOS 10.13.4? 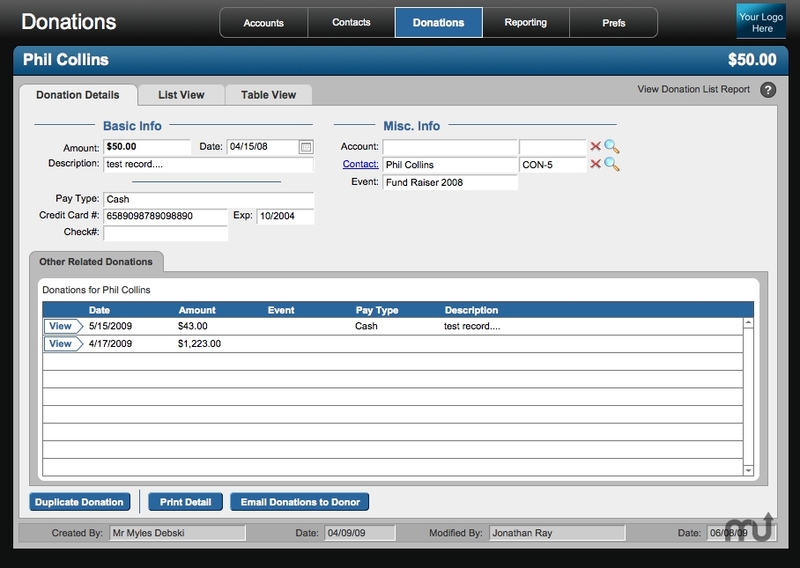 RCC Donations is a FREE FileMaker Pro template made from your friends at Richard Carlton Consulting Inc. that allows for the straightforward tracking of donations right out of the box. The solution was designed with the FM Starting Point user interface, another one of RCC's templates, and was created after many requests were sent to RCC for donations tracking solution for non-profits in their effort to raise funding. The key feature to note in RCC Donations is its easy-to-understand design, which allows customization by end-users without the need for consulting services. RCC Donations needs a review. Be the first to review this app and get the discussion started! RCC Donations needs a rating. Be the first to rate this app and get the discussion started!